The multifunction room hosts activities, events and exhibitions taking place at the foundation. 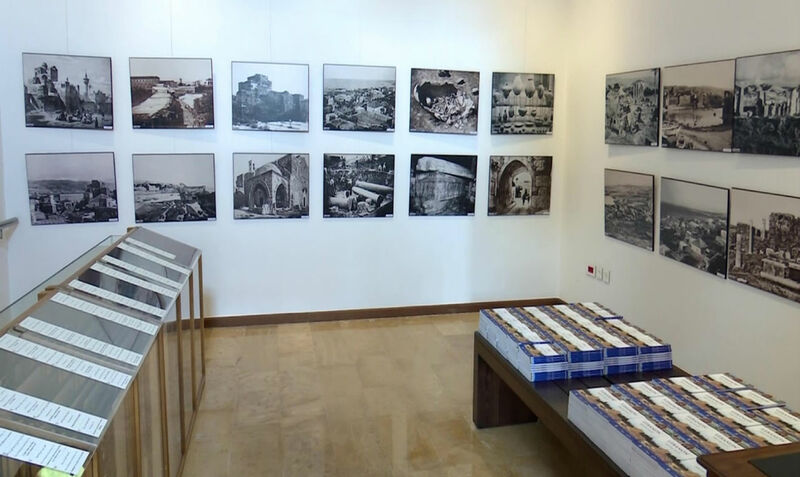 In this space, visitors can find paintings, sculptures & calligraphy by contemporary Lebanese painters and artists who have been inspired by Byblos, in addition to collections of old Byblos pictures, photographs, map albums and slides. They can also watch an eight-minute film titled “Byblos, la cité millénaire”. In addition, the holdings of this room include reproductions of 75 antique postal cards featuring Byblos from the collection of Mr. Fouad Debbas; photos of various Lebanese sites and characteristic scenery, such as the Jaje cedars, the Haqel fossils, and Adonis Valley; and other various slides and postal cards. Check out our collection of paintings and photographs.